Federal judge dismisses trial contending ATF "created fictitious crime"
All three plead guilty after their arrest in September and were awaiting sentencing from Real, who instead, dismissed the case. 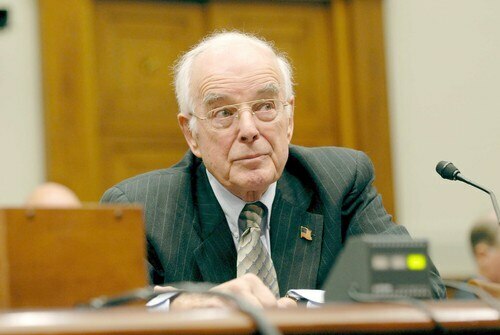 According to court transcripts, the three defendants had been recruited by confidential informants, who were given $8,600 to “convince citizens to join the government’s scheme,” in Judge Reals’ words. Judge Real dismissed the U.S Attorney’s case against the three men, “for the government’s outrageous conduct,” and ordered their release in the May 12 hearing. He found that, in his opinion, there had been no crime to charge them with in the first place. “The government created the fictitious crime from whole cloth,” said Real. “The government provided the location to the plan of the fictitious crime where undercover ATF Agent Carr insisted on running through a script to ensure a conspiracy had been hatched and that Carr also provided the getaway car with the fictitious conspiracy,” he explained. The U.S. Attorney’s office filed an emergency protective notice of appeal with the U.S. Ninth Circuit of Appeals in the case, stating that the three individuals were flight risks. The 9th Circuit approved that notice and all three remain in custody while the appeal is considered and is expected this fall. This case is the latest example in a growing list of embarrassing investigations by the agency that seem to defy common sense and endanger public safety. 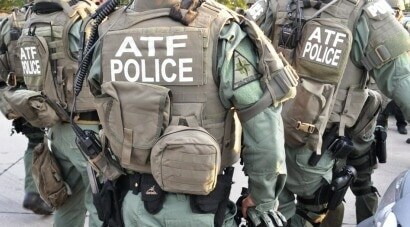 In January the U.S. House Committee on Oversight and Government Reform and the House Judiciary Committee announced that they planned to look into ATF storefront sting operations in Milwaukee and in other places around the country (Portland, Oregon; Wichita, Kansas; Albuquerque, New Mexico; Atlanta, Georgia; and Pensacola, Florida) that employed questionable practices. This scrutiny was compounded in March when California Rep. Darrell Issa slammed the ATF’s outright refusal to cooperate with the investigation, similar to the agency’s response to the Congressional probe into Operation Fast and Furious. That fatally-flawed gunrunning program is blamed for sending upwards of 2,000 firearms south of the border, many of which landed in the hands of known cartel operatives. At least one of those firearms linked to Fast and Furious was found at the murder scene of U.S. Border Patrol Agent Brian Terry. And when he does, Guns.com will bring it to you.